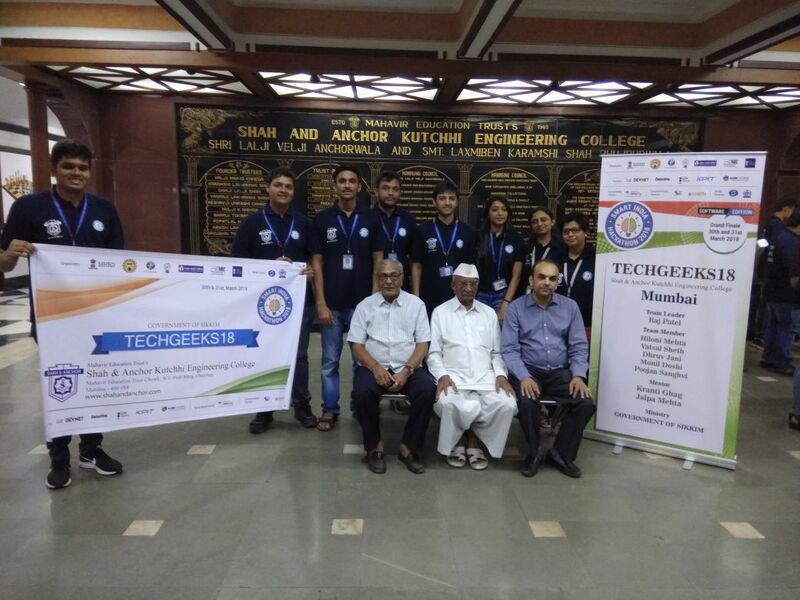 We congratulate to SAKEC Team “Cortex” for participating in Grand Finale held at Lovely Professional University, Phagwara,Punjab on date 2nd and 3rd March 2019, 36 Hour nonstop coding Competition conducted by Ministry of Human Resource Development, Government of India, AICTE in association with Persistent Systems. 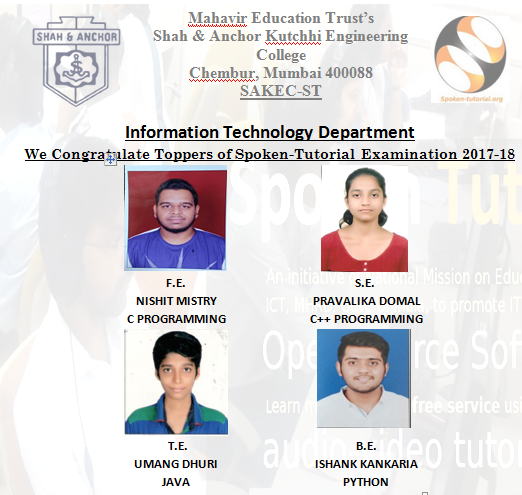 We congratulate to SAKEC Team “Teckgeeks” for winning 2nd runner up prize at Noida Nodel Centre from Ministry of Sikkim & in Inter Institutional Inclusive Innovations Center – i4C’s Smart India Hackathon 2018, 36 Hour nonstop coding Competition conducted by Ministry of Human Resource Development, Government of India, AICTE in association with Persistent Systems. 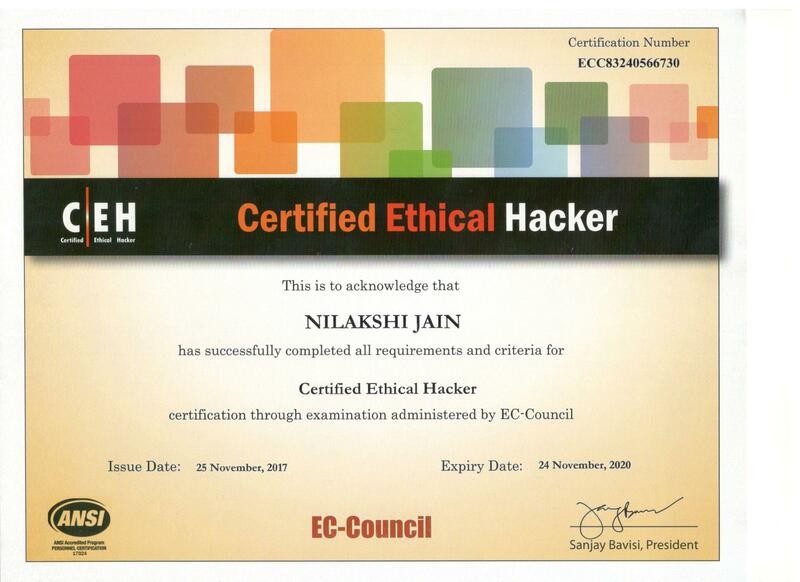 We congratulate to Dr.Nilakshi Jain for Certified Ethical Hacker –CEH (EC-Council USA) Date 25th November 2017. 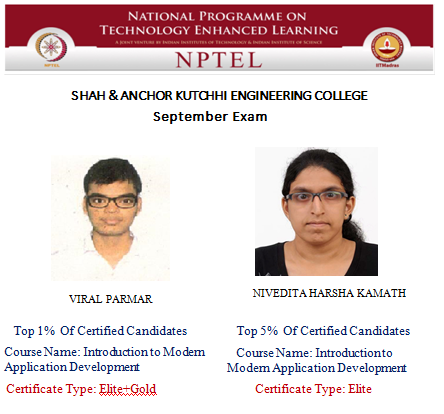 The CEH certificate is EC-Council's most popular and prestigious certification in Cyber security world.The CEH exam is a relatively new credential in the IT certification industry,but its importance and influence have grown quickly.The CEH certification gives “white hat” IT professionals a glimpse into the mindset of a typical hacker.